In the eyes of many Americans, the Fourth of July is a day for parades, barbecues and, of course, fireworks. One year later, Philadelphia celebrated the anniversary with fireworks – or “illuminations,” to Adams – plus a parade commemorating Independence Day. So with that in mind, here are four fascinating sets of facts about fireworks. Americans shoot off almost 1 pound of fireworks each year for every adult. And this figure has grown rapidly in recent years, from half a pound per adult in 2000. In 1976, the United States’ bicentennial, the figure was just one-sixth of a pound annually. A reason for the big increase is the steady reduction in state prohibitions against individuals using fireworks. Today only Massachusetts completely prohibits individuals from owning and using any type of fireworks. The other states all allow usage in some form. The most recent states to allow fireworks are New Jersey, Delaware and Iowa, whose new law legalizes fireworks around the 4th of July and New Year’s Eve only. Fireworks are also illegal in many urban areas, like New York City. 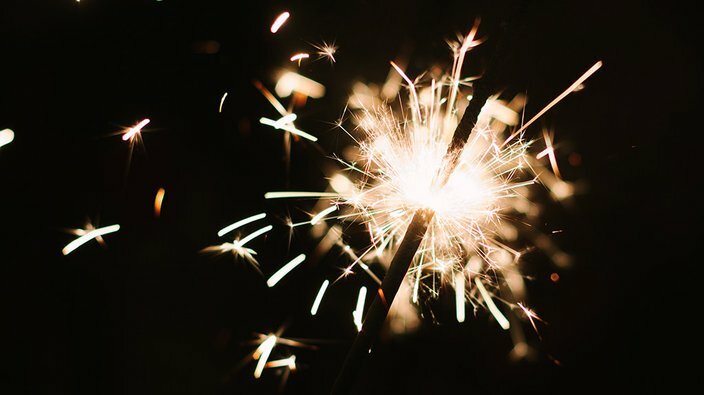 Because states are now permitting individuals to purchase and possess fireworks, there has been a large shift from professional to amateur use. Back in 2000, roughly one-third of all fireworks were set off during professional displays, the kind that light the skies of cities around the world on holidays like New Year’s Eve and national celebrations. By 2017, professional displays comprised less than 10 percent. Just because more regular Americans have been shooting off fireworks doesn’t mean prices have surged. The vast majority of the fireworks shot off in the United States are manufactured overseas, mainly in China. Each shipment of fireworks brought into the U.S. includes a detailed invoice that shows the price the importer paid. These invoices show fireworks prices, after adjusting for inflation, are cheaper today than in the mid-1990s. In 1996 it cost about $1.37 in today’s terms to import 1 pound of fireworks. By 2017 the price had fallen to just $1.13 a pound. That means pound-for-pound fireworks are less than half the price of the hot dogs many people are grilling this 4th. 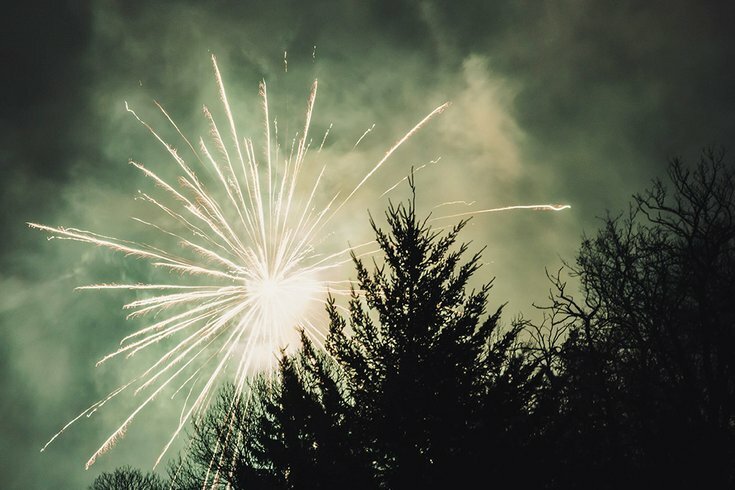 Fireworks are dangerous – hence the reason so many states had banned them previously. And as we’ve exploded more bottle rockets, firecrackers and Roman candles, fireworks-related injuries have increased as well, though they are still far below the rates we saw back in the mid-1980s when cities and states began banning their usage. Back in 1986, fireworks injured about 6.6 out of every 100,000 people. Since 1986, injuries have steadily fallen as government regulations made them safer. In 2008, the rate was down to 2.3 people. But as states have relaxed restrictions, the injuries have started increasing again. The latest figures for 2017 show a rate of 4 people per 100,000. In addition, there’s also a big gender divide in who suffers the most injuries. Men experienced about 70 percent of fireworks-related injuries for the one-month period from June 18 to July 18, 2017. Beyond such statistics, however low, every year there are horrible stories of both children and adults being maimed and killed. So it’s always important to exercise caution when lighting what amounts to a low-yield missile. One reason that injury rates have fallen in the first place is because of the federal government’s Consumer Product Safety Commission. This organization regulates fireworks under the Federal Hazardous Substances Act. It banned the sale of the most dangerous fireworks, such as M-80s and cherry bombs, in the 1960s. Today, it is working to lower injury rates again by requiring manufacturers to adhere to higher standards. In February 2017, for instance, the commission passed several of what I believe are common sense regulations for firework manufacturers to make their products safer. For example, faulty fuses have caused many injuries, such as when some burned rapidly and ignite a rocket too quickly, preventing the holder from moving away in time. Other fuses actually take too long to ignite, leading people to investigate whether it needs to be relit just as the firework explodes in their face. So the commission now requires all fuses to ignite fireworks three to nine seconds after being lit. The commission also now requires fireworks to have bases that are wider and support more weight so they do not tip over after being ignited. This prevents fireworks from firing off horizontally, becoming missiles that bounce along the ground and potentially hit spectators. It also now bans hazardous materials like lead from the powder inside fireworks. This ensures people downwind from the explosions are not poisoned by breathing the smoke. But if you do plan to shoot off a few rockets or more advance fireworks, use some common sense, especially if children are around. Whether you are lighting fireworks, watching them explode above you or just hiding from the noise, try to have a fun and safe Independence Day. This is an updated version of an article originally published on June 29, 2017.